Hello and happy Tuesday to ya! 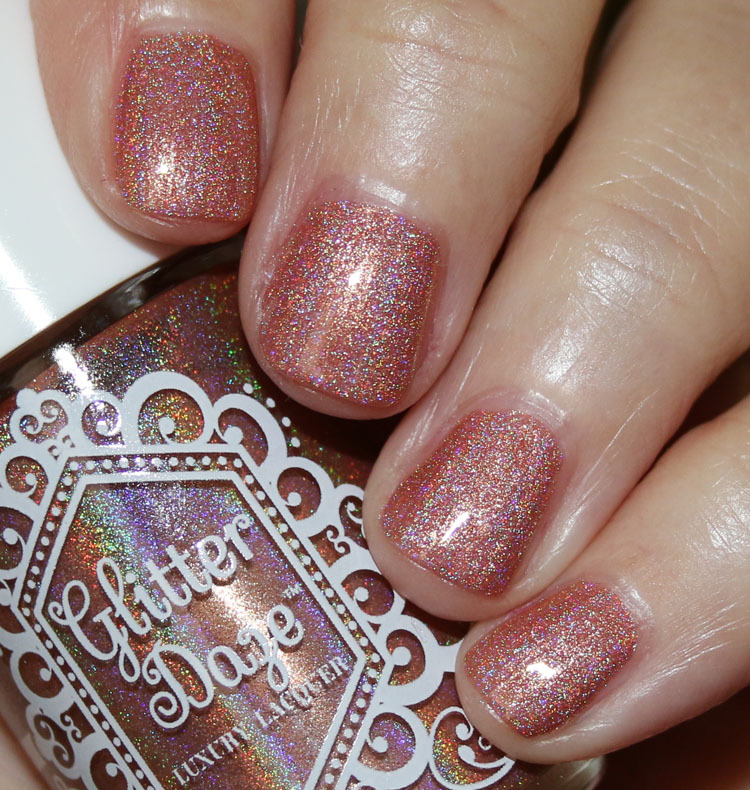 Today I have the new Glitter Daze Barely There Collection for you to drool over. 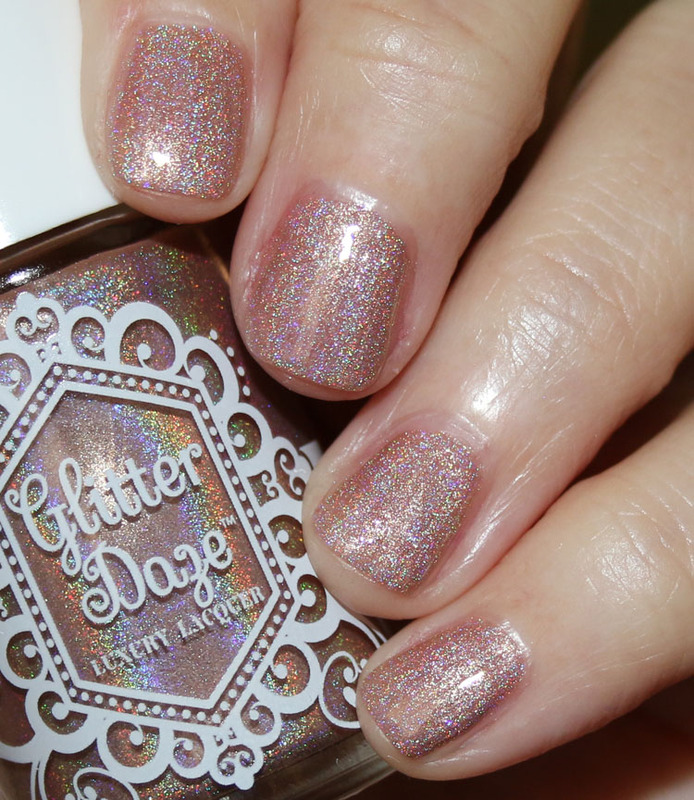 The Glitter Daze Barely There Collection features five new light-colored holographic nail shades. These have a really great formula and only need two coats to cover completely. 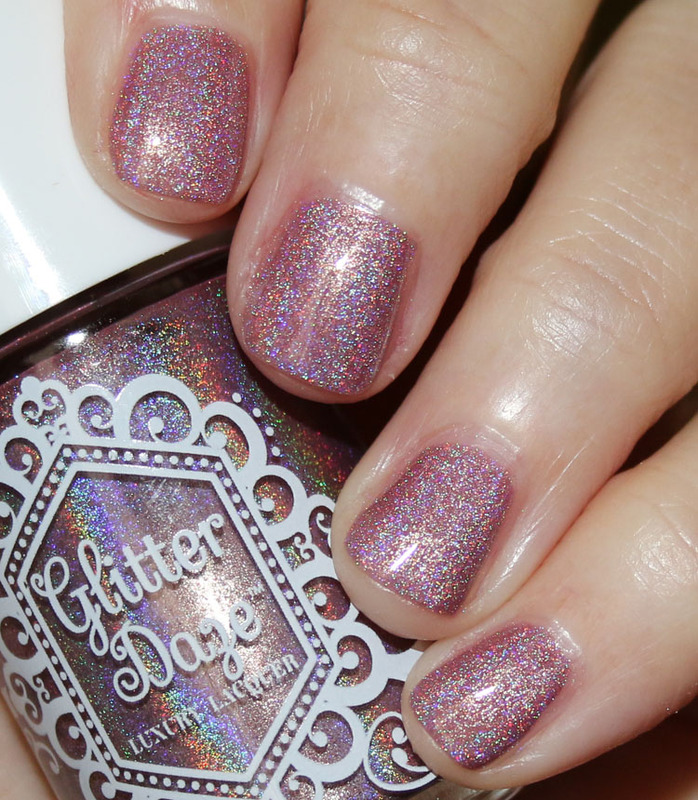 They are definitely very holographic looking and are just beautiful! Birthday Suit is a light pink. 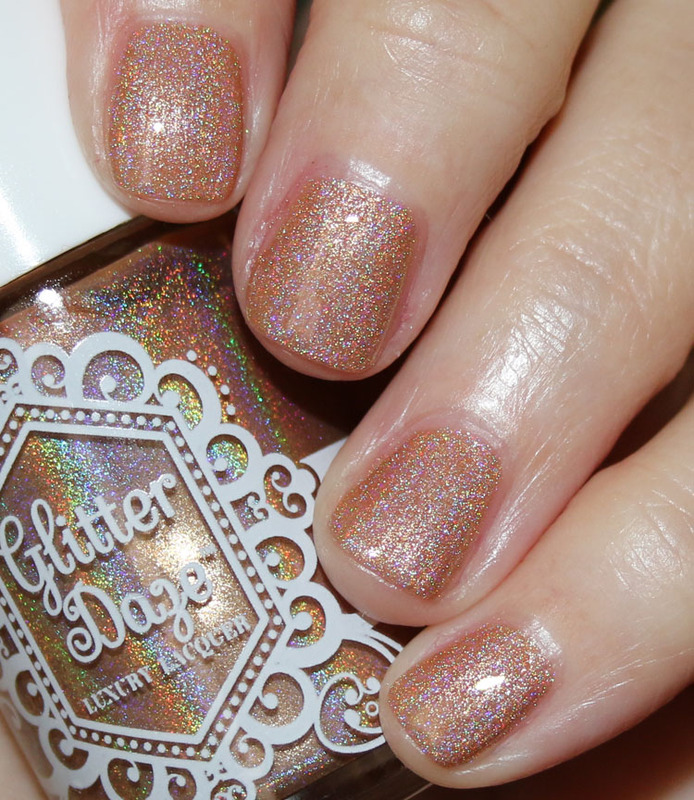 Skinny Dip is a neutral gold. Nudist is a champagne-colored tan. Strip is a medium mauve. And there you have it! Pretty, right? I like these a lot, and the formula was excellent. I don’t think I have exact dupes for these, which makes them even better. My personal favorites here are Birthday Suit and Strip. 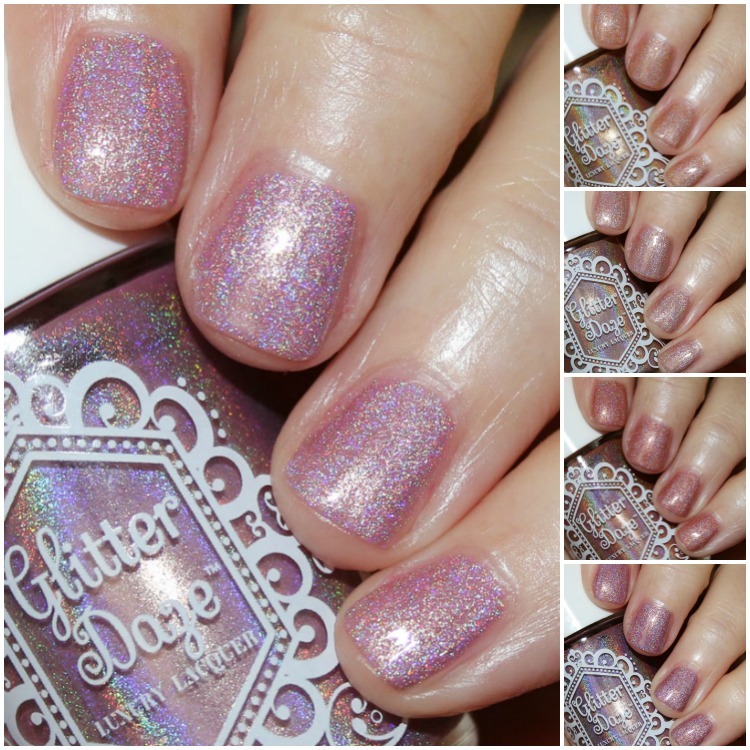 You can find the Glitter Daze Barely There Collection on their site now and they are $12.50 each. Which of these are you loving? they are nice but honestly they look just too shimmery to me.. ¿is it weird I feel that way? Not at all. 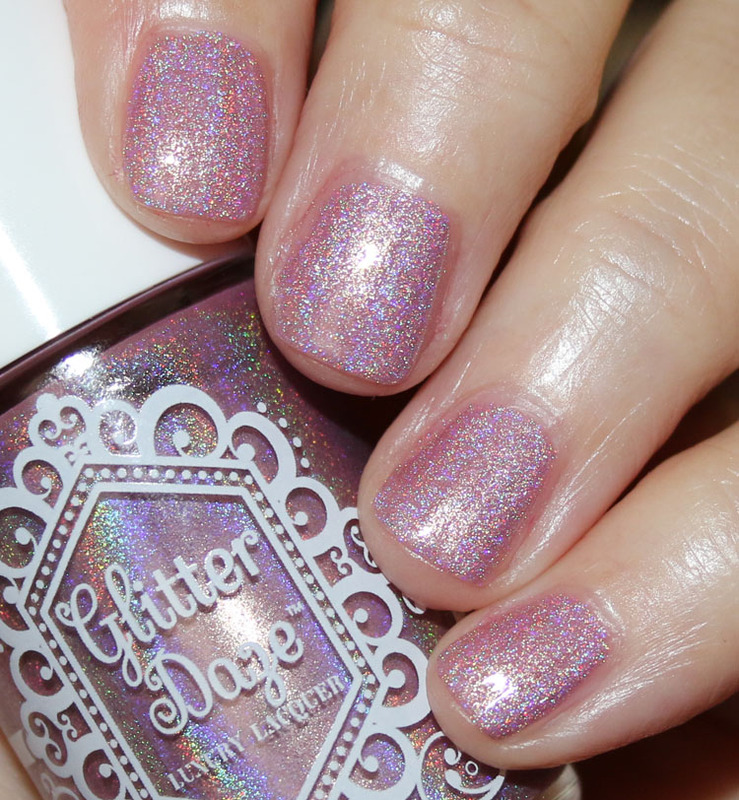 Just means you probably aren’t a fan of holographic shimmer. I really like Nudist and Tease. So pretty! I just went to their site, these are pretty, but daaaaaamn. They have some pretty amazing stuff. These are great not boring neutrals though.